Demand from overseas markets for tight pesticide residue control in produce is ever increasing; as is the demand for high quality produce free of blemishes and imperfections. This combination provides a challenge for the horticulture industry in New Zealand, especially with limited variety of pesticides available. 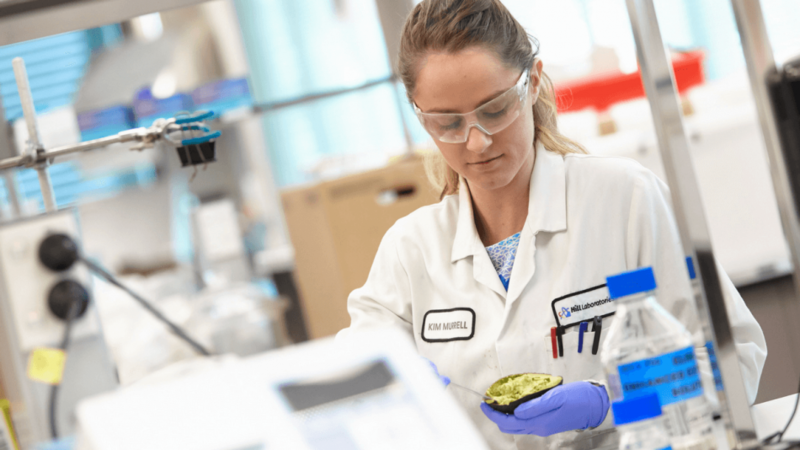 At Hill Laboratories our commercial and technology team work alongside industry groups like NZ Avocado and growers to ensure we deliver a leading pesticide residue service. This collaboration within industry groups and organisations is key going forward. NZ Avocado ensure compliance of exports by reviewing spray diary inputs and export market requirements. This program ensures that only specified pesticides are used, spray drift is monitored and that all residue levels are under Maximum Residue Levels (MRL’s) at time of export. This model protects consumers, market access and New Zealand’s brand in important overseas markets. Our award winning technology team includes Dr Bruce Morris, the winner of the “Excellence in Sample Prep” award, at the 2014 North American Chemical Residue Workshop. This award recognises the ground breaking sample preparation method established at Hills and used for our avocado testing. Due to their oily nature, avocados prove a difficult sample type to analyse by chromatography. These award winning developments allow the analyses of difficult sample types with high levels of accuracy and reliability, decreasing the chance of testing repeats which can hold up the harvest or supply of avocados. Reliable and accurate methodology, along with a dedicated team of technical client service managers means a premium yet cost effective service for the horticulture market . If you have any questions in regards to testing your produce. Please call 07-858-2000 and ask to speak to a Food and Bio-analytical client services manager, or email us.